STEINZEIT Berlin was founded in 1992 in Berlin-Treptow by B.Sc.Eng. Wolfgang Grönlund, Hüseyin Karalioglu and Barbara Knoche. The aims of the company were to import wall and floor coverings, raw blocks and slabs of marble, granite and other types of natural stones as well as to start wholesale and retail trade of finished natural stone products. In order to shorten delivery times and secure delivery dates, a warehouse was leased in 1995 on the site of the Elektro-Apparate-Werke in Treptow. 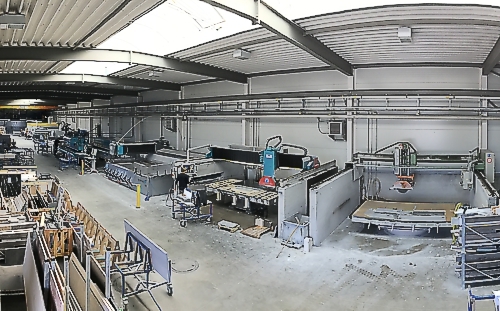 As natural stone allows for many creative ways of processing, our own production facility was necessary in order to make this potential available to the use of our customers. It was planned to ensure first quality production in short delivery times by our own facilities for cutting and processing the raw materials and for our finished products. 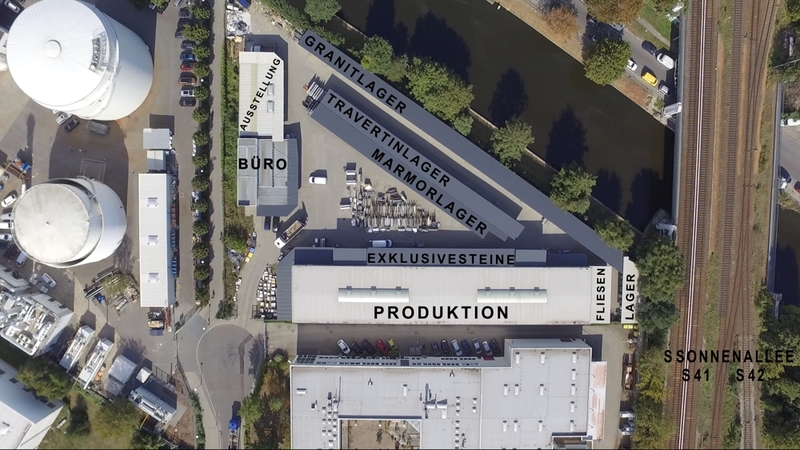 With the support of the then mayor of Berlin-Neukölln, Bodo Manegold, we were able to lease a constructible site with good transportation connections in a central location in 1999. 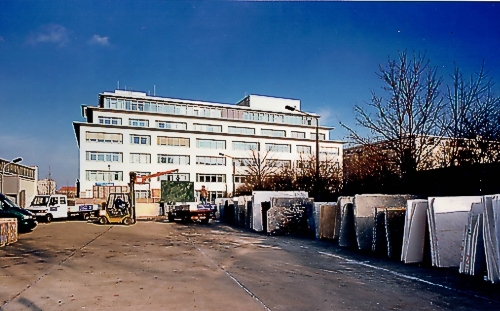 In 2002 we completed the factory, on our current site in Ederstraße 24, specially designed for natural stone production, which enables us to cover the entire immense potential of processing the natural stones for our customers. No matter whether with marble, granite, travertine or rarer stones, here we can implement everything. Many of our customers who visit us on site also admire the wide selection of raw slabs that we offer. Personal visits offer a good anchor point to think about the potential applications of natural stone in interior spaces as well as in the exterior and on facades. 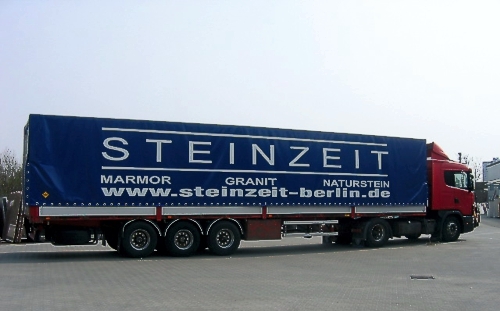 Steinzeit Berlin is primarily committed to providing its customers with high-quality products and services. Since the foundation of our company, we have always been looking for innovative solutions to improve both the efficiency and the quality of our products for our customers. 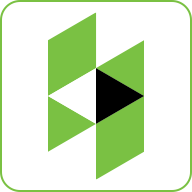 Our company logo, the face of our company, has also continuously adapted itself to the spirit of the times. We have a modern production hall with several high technology natural stone processing machines with which we can realize numerous shapes, surfaces or edge profiles. Water jet work is also one of our strengths. Imagination has no boundaries and we deliver the results in high-quality. Natural stone is not solely our profession, it is also our passion. We recommend taking a personal look at the natural products before processing. 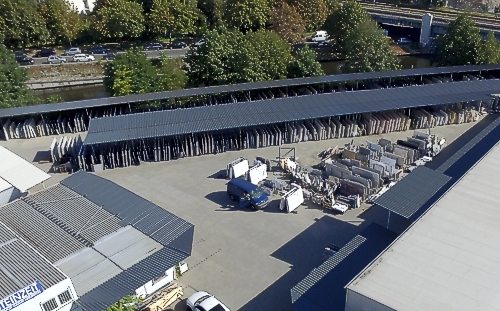 That’s why you are very welcomed to visit us and take a look at the largest natural stone warehouse in Berlin. We have many different types of natural stone such as marble, granite, travertine, slate, limestone, onyx and many more. We also have many exclusive materials on stock. Let yourself be inspired by a wide selection of natural stone! We import natural stones directly from India, Brazil, China and various European countries. The family of Hüseyin Karalioglu has businesses in the Turkish natural stone and heavy duty transport industry. Three marble quarries are operated by his brother. This facilitates the procurement of good blocks and slabs as well as the temporary storage of the materials for projects. 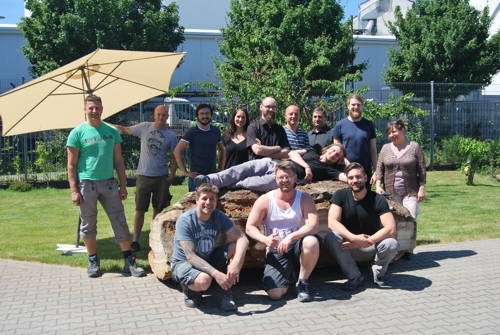 Here you will meet a team of real experts in natural stone and natural stone processing. Our geologist team will be pleased to answer your questions about the characteristics of certain types of stones and their suitability to your desired products. Our stonemason team will also be able to offer you stone processing work, and our production engineers will ensure smooth production. Visit our natural stone showroom at our opening hours. Our team is international. Besides German, we also speak English, Russian, Turkish, Polish, Spanish and Italian.